A great way to transform your kitchen and yard waste into something useful, composting is an economical and green way to recycle nutrient-rich waste that would otherwise be discarded into a landfill. An extremely simple way to give your garden soil a serious boost, composting is completely free, easy to do and very good for the environment. For the best composting results, you need a quality unit to get the job done, and Mytopia is the best online destination to find a top-notch compost bin. We provide compost solutions that will help you produce nutrient-rich humus, and bring back vitality to a depleted garden soil. 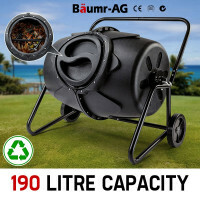 Available from 160L to 290L capacities, Baumr-AG and PlantCraft Compost Bins have snap-lock aeration hatches and convenient lift-off lids that make adding kitchen scraps super-easy. 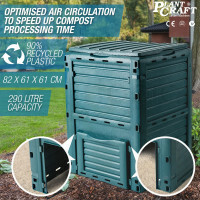 Manufactured from 90% recycled plastic, they are designed for optimised air circulation and compost processing. The internal mixing fins and textured transportation wheels contribute to a highly practical and user-friendly product. Designed to help create a natural alternative to fertilizers and chemicals, Baumr-AG and PlantCraft Compost Bins help reduce landfill waste. 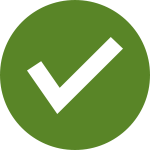 All you need to do is add organic waste such as lawn and garden weeds, table scraps and grass clippings. 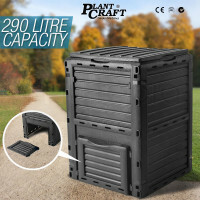 Moreover, you can also use these units to decompose other materials such as chicken manure, old newspapers, wood chips, shrub prunings, fruit and vegetable scraps, wood ash, and so much more. When buying your next compost bin, be sure to try the other fantastic garden tools and equipment available at Mytopia. Here you can find Garden Hoses, Garden Lights, Pumps, Gate Openers and many other great products for your home and garden. Buy a Compost Bin today and enjoy the numerous benefits of good quality composting!